The South African Environmental Observation Network (SAEON) technical staff Sean Bailey, Imtiyaaz Malick and intern Werner Kuntz joined ORI (Stuart Laing) and SAAMBR (Blessing Mbanjwa) staff on a trip up to iSimangaliso Wetland Park. 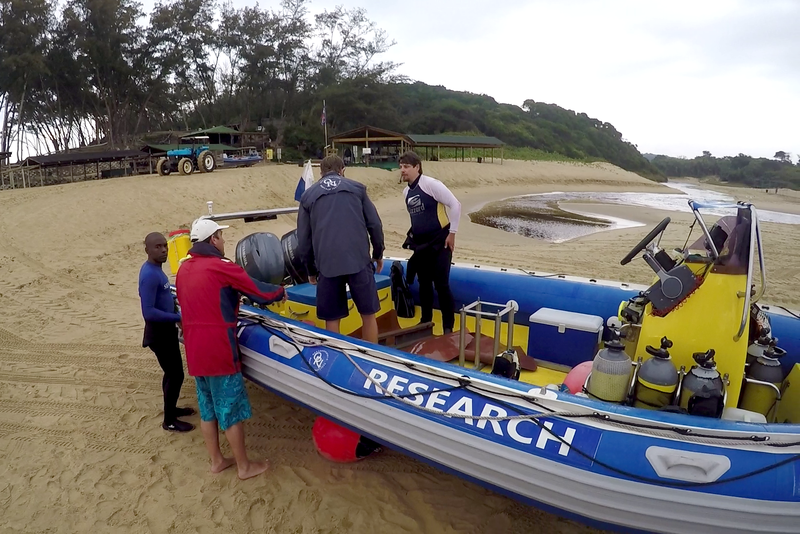 The main purpose of the trip was to deploy two Acoustic Doppler Current Profilers (ADCPs) at Red Sands (south of Sodwana Bay) and at Rabbit Rock, about 60km north. 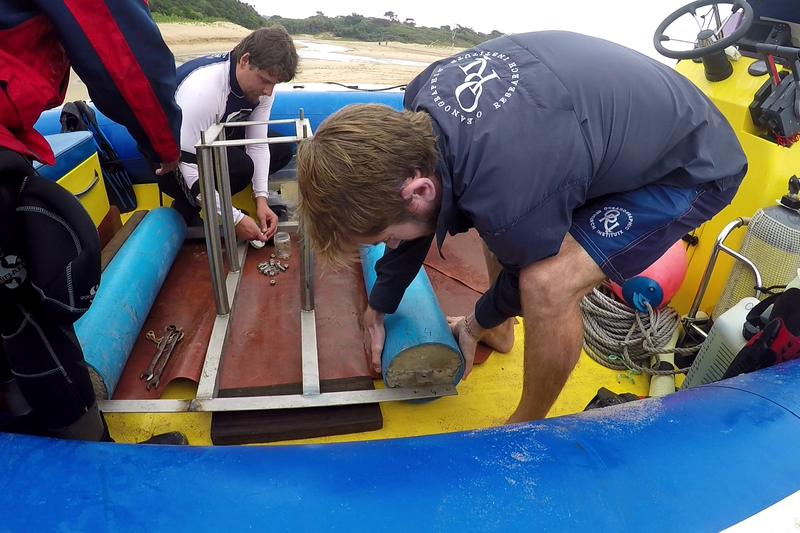 These instruments are used to measure current direction and speed at various depths, and were contributed to the CAPTOR (read more here) project by SAEON and the South African Institute for Aquatic Biodiversity (SAIAB). 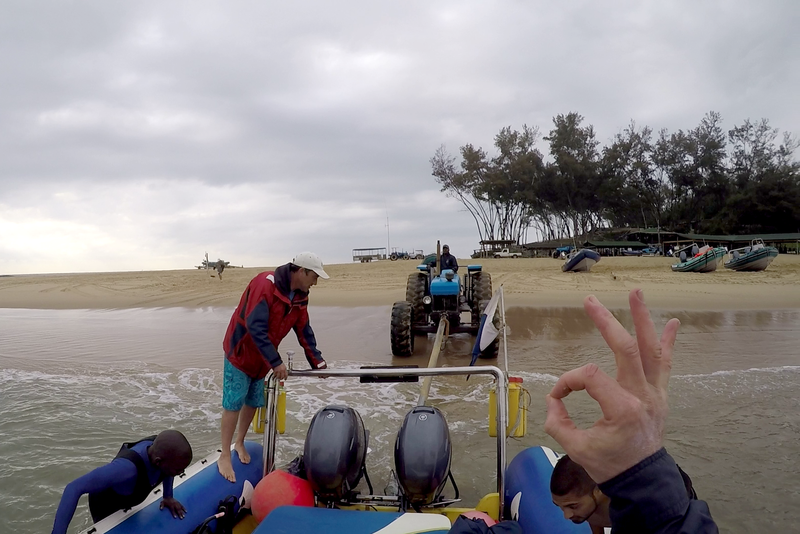 The team were fortunate enough to have great beach support from Coral Divers who pushed the vessel ORV III in each day. This was especially helpful as each ADCP system weighed in at 180kg! While the swell was small, the conditions were choppy on day 1 but became calm and hot later on day 2. 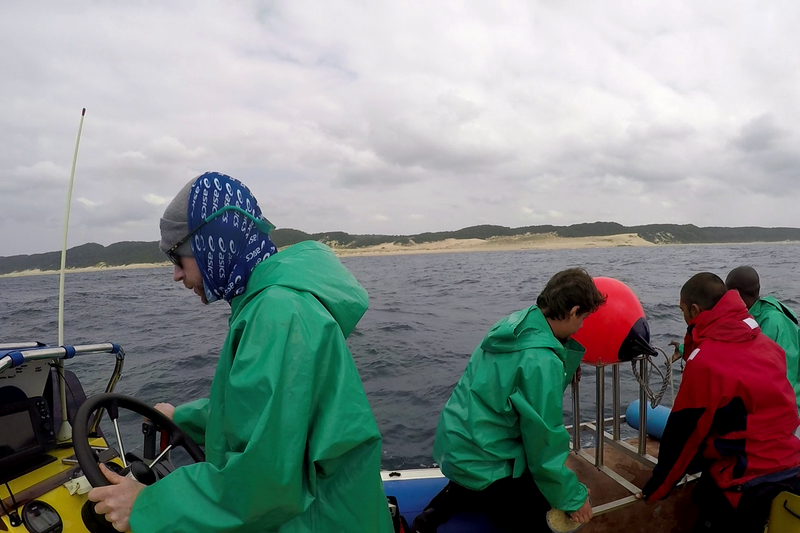 The ADCP deployments were successful with the SAEON team putting the system together underwater once the base had been deployed. All in all, the teams covered 180km at sea in the two days, which went smoothly thanks to the weather. 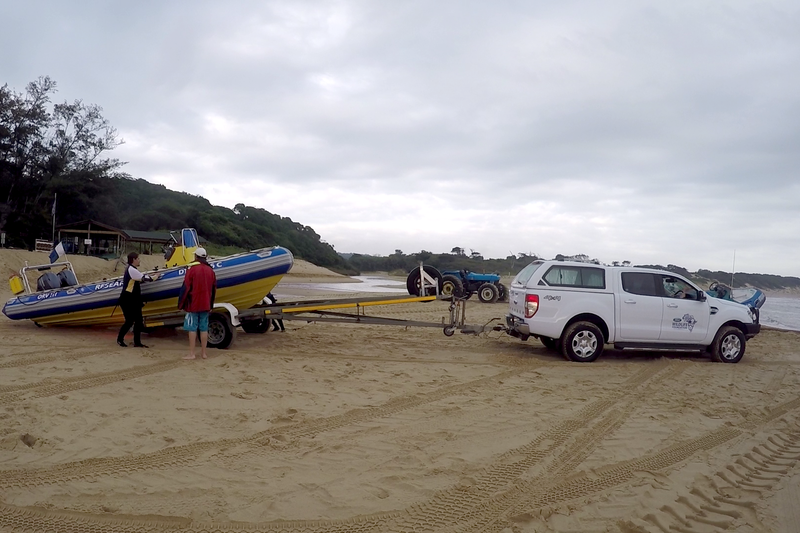 The Ford Wildlife Foundation Ranger did a great job on the beach, helping operations to go smoothly.